Twenty-seven-year-old Sophia Martinez Gokey was a big fan of American Idol. She taped the program so her husband Danny Gokey, also an enthusiast of the singing competition, could watch it after he returned home from work. Sophia eventually encouraged Danny to audition for the show and, in his final year of age eligibility for the program, Danny decided to go for it. But on July 9, 2008, four weeks before the American Idol audition was to take place in Kansas City, Sophia passed away. Despite his personal tragedy, Danny came in third on American Idol’s Season 8 (2009), behind Kris Allen and runner-up Adam Lambert. It led to a record deal with RCA Nashville / 19 Recordings, Inc.
Danny’s debut single, the appropriately-hopeful “My Best Days are Ahead of Me,” came out in December 2009. March 2010 saw the release of his solo album, My Best Days. It rose to #4 on the Billboard 200 chart and #3 on the Country chart. He and Sophia Martinez, high school sweethearts, were married in 2004. Her death four years later from a surgery gone badly, and the seeming end of his professional music career just as it was starting, were almost too much to handle. 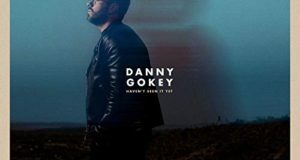 Released in 2014, Danny’s first Christian music single, “Hope In Front of Me,” was forged not only in the crucible of his life experiences but also from years of Christian education and church music ministry. 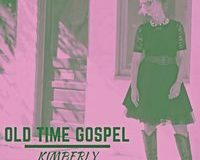 It hit number one on the CCM chart. Danny was subsequently signed by Capitol Christian Music Group. Released January 11, 2019, “Haven’t Seen It Yet” is his latest self-penned Billboard charter and the title track for his new album, slated for release April 12. 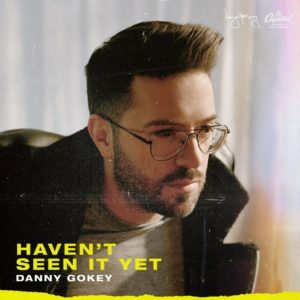 Today, Danny Gokey lives in Nashville with his new wife Leyicet and their three children (a fourth is on the way). 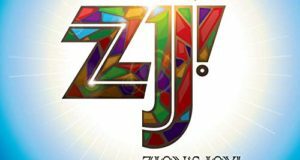 In addition to his Christian music career, he has organized a nonprofit, Better Than I Found It, named for a song from his 2017 album Rise (featuring Kierra Sheard). The organization was inspired in part by Sophia’s Heart, a nonprofit Danny organized in memory of his late wife. He said that although Sophia’s Heart helped 200 families get off the street, funding was tough to secure and the organization shuttered. Better Than I Found It aims to help small nonprofit organizations like Sophia’s Heart that need help overcoming financial and operational pitfalls that have the potential to crush their mission before they can make a difference. So what would Sophia think of all that has happened to Danny since her passing? What would she say?